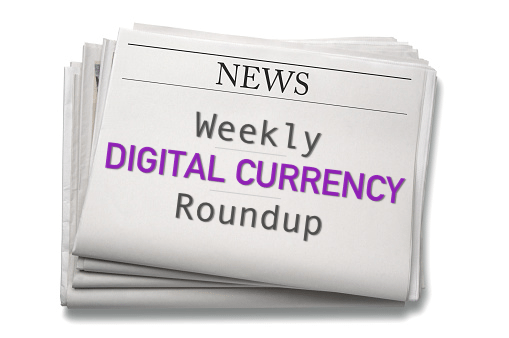 In today’s edition of our Weekly Roundup, we bring you more good news about the crypto market’s continued recovery, take an in-depth look at some of the market’s biggest gainers and losers since BTC hit its December bottom, and explain how to “hack” a zero-confirmation Bitcoin ATM, even though we definitely do not recommend attempting to do so. It was another cautiously optimistic week for BTC, as prices slowly danced their way upward to the tune of about 3%. It was the first time bitcoin had crossed the $4,000 level since February 24th, but this time the move was more gradual than sudden, hopefully another step in helping to pave the way for what is appearing to be a smooth transition into a new bull market. A few of the biggest winners to emerge from the last week include Bitcoin Cash (BCH) – up 24%, Dash (DASH) – up 12%, and Ontology (ONT) – up 19%, with every coin in the top 40 by market cap posting gains for the week. A list of suspects driving the recent uptrend includes an influx of money from China-based investors, increased leverage-based trading on BitMex, and a general demand from a thriving crypto industry that has been steadfastly working on the development of their businesses during the time when most traders were busy mourning their losses. Ultimately, many non-trader crypto enthusiasts recognize that it is not the price action that makes cryptocurrency special, but the technology behind it, which eventually will prove itself to be the reason why a coin is valuable, or not. As a testament to the inherent value of the Bitcoin Network, the number of active addresses being used has slowly been on the upward march, even climbing while the price of BTC was falling through its various bear markets dating back to 2012. Even though both metrics simultaneously peaked in January 2018, the correlation between the two seems to be a moderate one, meaning BTC’s price is not necessarily dependent on its usership, and vice versa. On another optimistic note, monthly bitcoin trading volume is the highest it’s been since May 2018, when it traded for around $9,300 a coin. When analyzed on a by-day basis, trading volumes hit their highest levels in 15 months last Friday, fueled by institution-sized investors and bitcoin billionaires who are doubling down on their bets for a prosperous market in 2019. Short of all-out price manipulation, federal abolishment on a worldwide scale, or the discovery of a major exploit in the blockchain, there doesn’t seem to be anything getting in the way of BTC’s continued recovery. The price of BTC is now up an encouraging 25% since reaching its most recent lows last December, and since that time the total market cap of all coins has added an impressive $37 billion (36%), suggesting that the great bear market that had gripped crypto throughout 2018 is finally at an end. Not all coins fared as well as BTC, though some have fared significantly better. Which coins are the biggest the losers and winners since bitcoin’s most recent bottom, which it hit on December 15th, 2018? We analyzed the price movement of today’s 100 top coins by market cap (excluding stablecoins) since this date in order to identify the market’s top performers and most sluggish laggards. We compared their individual return on investments (ROIs) from December 15th to March 18th, a time frame of approximately 4 months, in order to identify coins that fared significantly better or worse than BTC. It should be noted that, for the second list, only coins that managed to fall in price yet continued to remain on the list of top 100 coins by market cap are included. Enjin Coin (ENJ): +564% – this gamer-oriented token blasted into the stratosphere in March, increasing in price 5 fold over the last 3 weeks, thanks to speculation and then confirmation of a partnership with Samsung, one of the world’s biggest mobile phone manufacturers. Paragon (PRG): +475% – after paying fines for ICO-related violations to the SEC in November, this cannabis industry-oriented token has regained its momentum in recent months, despite continuing allegations that its team is engaging in “pump and dump” tactics. Binance Coin (BNB): +244% – as one of the few coins up against BTC since December 2017, Binance Coin continues to reward investors, many of which who view holding it as the crypto equivalent of shares in the world’s most successful cryptocurrency exchange, Binance. Ravencoin (RVN): +220% – a fork of bitcoin, this token creation-centered platform launched its main net on January 3rd and has proven to be immensely popular among its users, allowing anyone to create a highly-customized token in a matter of minutes. Augur (REP): +215% – the original Ethereum-based prediction engine (or “oracle”) and second-most famous DAO went live last summer but didn’t start gaining movement until this year, offering proof to the world that decentralized markets are potentially the wave of the future. Theta Token (THETA): +209% – this native currency for an open-source streaming network protocol can also be used as a system to distribute gamer rewards, with its parent company THETA partnering with Tencent Games in November 2018 and releasing the main net version of its product just 2 days ago. Holo (HOT): +183% – another project that recently completed its transition from idea to working product, Holo has been on absolute fire since December, thanks in large to its successful roll-out and delivery of hardware that is being used to create a new, decentralized internet. Litecoin (LTC): +180% – 2019 has proven thus far to be a beautiful year for Litecoin; long considered to be overlooked, the world’s first scrypt coin recently overtook EOS to move up into the #4 spot by market cap, finally coming into its own thanks to an ever-increasing wave of user adoption. Ontology (ONT): +179% – a hybrid blockchain geared toward the hosting and development of large-scale projects, Ontology features protocols for smart contracts, identity, data and information exchange, launching its development platform last month and more recently signing deals with movie distributors. Digitex Futures (DGTX): +173% – this token can be used to offset or abolish fees used to place orders on a first-of-its-kind cryptocurrency futures exchange; 3 weeks ago the waiting list for its soon-to-be-released decentralized futures trading platform hit one million members. Factom (FCT): -33% – one of the first permissioned blockchains developed specifically for business use, Factom soared in price toward the end of 2018 due to announcements of a few promising partnerships, however these have not managed to translate into real-world earnings for coin holders thus far. NEM (XEM): -25% – NEM pioneered the idea of using a “Proof of Importance”-based consensus mechanism in 2014 and has long been considered a top-tier coin, but recent in-fighting between long-time holders and the coin’s foundation members have brought its momentum to a standstill lately. Qash (QASH): -20% – based in Japan and formerly known as Quoine, the Qash platform specializes in crypto asset trading, raising over $100 million in their ICO; however, attempts to reconcile an easy-to-use exchange with stringent KYC policies has led to unfavorable customer ratings and a lack of community support. Bitcoin SV (BSV): -14% – the Craig “Faketoshi” Wright-backed fork of Bitcoin Cash was only a month old when BTC hit its December bottom, and plans for its integration into real-world use case scenarios have not proven to be successful; seemingly the harder Wright tries to convince the world he is Satoshi Nakamoto, the farther his coin sinks. MaidSafeCoin (MAID): -7% – one of the older altcoins still relatively popular, MAID is the first real attempt to build a decentralized internet that was based on a cryptocurrency; working on a shoestring budget and competing against far more exciting prospects, this coin’s popularity seems to be continually waning. Electroneum (ETN): -7% – touted by John McAfee as the next big thing and launched in late 2017, Electroneum was novel in that it was the first coin that could actually be mined using a smart phone, but after more than 2 billion coins were stolen in the Cryptopia hacking, the price has been sinking on expectations of their eventual dumping. Elastos (ELA): -3% – billing itself as the ‘first completely safe and decentralized infrastructure for the internet’, this project is another victim of being drowned out by flashier, more hyped projects with a similar goal, additionally suffering due to a flood of tokens recently released onto the market. Zcash (ZEC): -2% – one of the original Zerocoin protocol cryptos which uses a “zero-knowledge proof” system to anonymize its transactions, Zcash took off after being added to Coinbase in late 2018, only to find itself struggling with establishing itself among other, more popular privacy centric coins. Stellar (XLM): 0% – specializing in the cheap cross-asset transfer of value and consistently ranked in the top 15 coins by market cap, Stellar’s momentum has been extremely lackluster for a coin of its caliber; out of all the coins in this list it is probably the most ripe for a rebound in the event of a renewed bull market. In the most interesting crypto story to come out of Canada since the QuadrigaCX scandal, over $150,000 was found to be “stolen” from Bitcoin ATMs in a few different cities across the country, though in a way which normally wouldn’t come to mind. A particular ATM provider who had set “zero confirmation” withdrawals from their machines was taken advantage of by a handful of users who managed to trick them into spitting out money without actually having to deposit their bitcoin. A user places a cash withdrawal with the ATM, creating a transaction that gets sent to the Bitcoin Network, and since the machine requires 0 confirmations, money is immediately dispensed from the ATM. The user then creates another transaction from the same address, sending all of its BTC to one of their own addresses with an extremely high priority fee (maybe $2 to $10). The second transaction is included into an upcoming block and added to the blockchain. The first transaction is rejected as invalid by the network, as the coins have already been spent in the second transaction. Thus, the user keeps all their BTC and the cash dispensed by the machine. Why a Bitcoin ATM operator would set the number of confirmations required to zero cannot exactly be known, but the act perpetrated upon their machines is still being considered a crime of theft by Canadian authorities, who have released photos of the suspects in hopes of gaining help from the public in their identification. 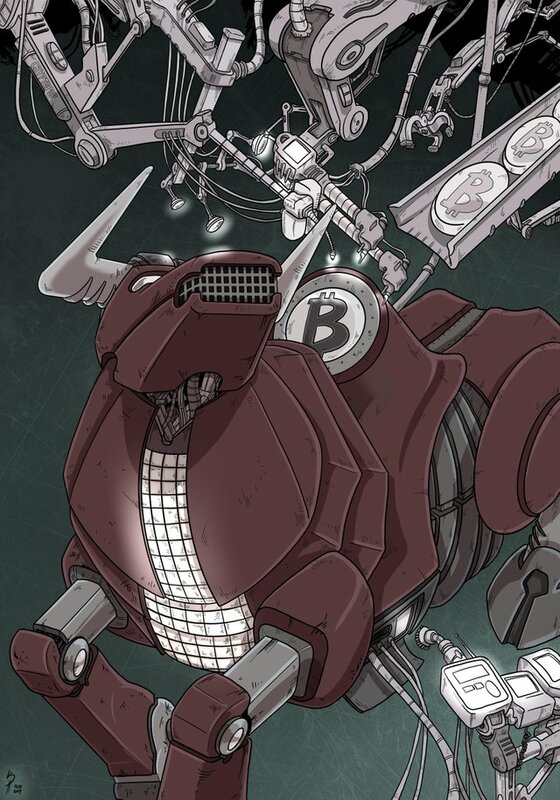 While most cryptocurrency exchanges require at least 3 confirmations before considering a bitcoin transaction to be settled (some as many as 6), other lines of businesses (such as casinos) frequently honor zero confirmation transaction – albeit usually with the caveat that the deposit would be considered void if found to be revoked in a “double spend”-type attack. As a general rule of thumb, bitcoiners should always require at least 1 confirmation to the network (meaning the transaction has been added to at least 1 block) before it is considered finalized. Only in situations where individuals know or trust each other should zero confirmation transactions be accepted, for any type of transacting.